Our family loves to watch movies together! We will watch and discuss, and watch another! Finding holiday movies for teens can be challenging since the age range is pretty big. So, we put together this list to help you find a few. Some of these are old favorites, some are fairly new to the scene, and a couple were recommendations from friends that we cannot wait to try… *This post may contain affiliate links. This means, at no additional cost to you, we will earn a small commission if you click the link and make a purchase. 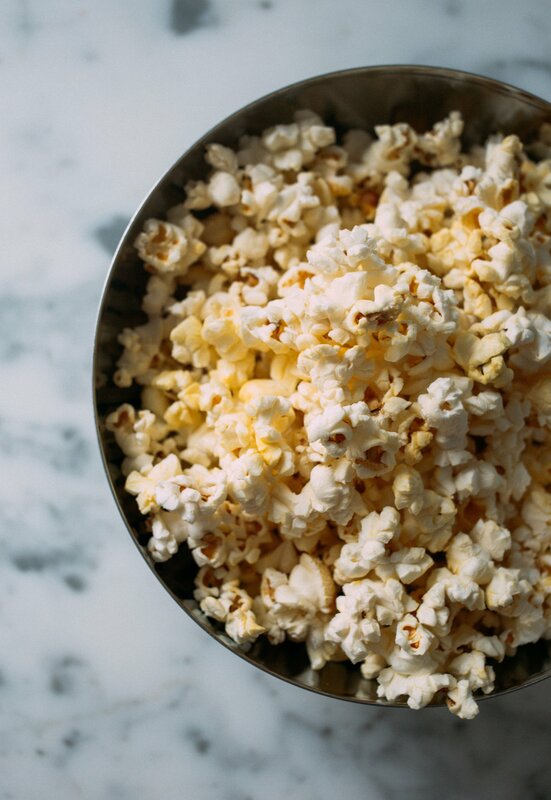 My husband makes the BEST popcorn, and oftentimes our favorite night of the week is Saturday. Our rule while the kids were growing up was “Soda Saturdays”. So, a movie, popcorn and soda was a real treat for us all! Put out some big pillows, get some blankets, and bring out some favorite snacks to enjoy some of these great movies:) You could check out this tabletop Movie Buff card game for fun as well! For the holidays, we really watch a lot since there are so many days off from school! Here are some of our favorites for the upcoming holidays in no particular order… These are definitely for teens! Some are definitely PG and up! Please check the ratings. Addam’s Family Values The perfect time of the year to watch this! I think that this is better than the original. Uncle Nestor gets married and the kids are sent to camp. Great cast and lots of really funny scenes. The Nightmare Before Christmas Another classic Tim Burton. Sort of a mash up of a number of holidays in this one. Poltergeist I remember being freaked out with this one way back in the day. A family moves into their new home, and many things begin to happen that are out of the ordinary. Dark Shadows-the movie This show is both dark and hilarious. A stellar cast who acts out this “soap opera” of a movie. Monster House I watched this for the first time last year with my boys. They had seen it before many times. It’s actually pretty creepy! A house that is “alive” and NOT happy! Beetle Juice Another Tim Burton film Michael Keaton is hilarious in this strange and funny movie about a house trying to be haunted by dead couple. Ghostbusters-(2016) I didn’t think this would be as good as the first. I was wrong, it was even better!! Edward Scissorhands This is just a quirky trip of a movie. Once again, Tim Burton creates a story with a creepy twist. Another amazing cast! Hocus Pocus Silly, over-the-top, but so fun to watch. Three sister witches have been brought back to earth for some witchy business. Totally cheesy, but great fun at Halloween time. Young Frankenstein A funny spoof of the original movie. Funny cast and great one-liners! Little Shop of Horrors This is an old, weird, musical romp of a film! Love it! Buffy the Vampire Slayer-the movie I loved this movie. Funny 90’s vampire movie. Planes, Trains and Automobiles Classic! This is a must-see every Thanksgiving! Dan in Real Life We love this movie. I recommended it to a friend and told her that it was funny. She didn’t like it. So, I am going to say that it is a slice of life. Definitely funny overall, but some serious and sad parts as well. All 3 of my boys request this movie many times during the year, not just Thanksgiving. Home for the Holidays Holly Hunter kills it in this coming home for the holidays. Her parents are hilarious, and her siblings families are as well. Holly plays a grown woman who goes home again to find out that she’s still a child to here parents-aren’t we all?! Grumpy Old Men Two old geezers who have an ongoing feud really go at it when a pretty lady moves into the neighborhood. Walter Matthau and Jack Lemmon are hilarious. Not to be missed. The Blind Side Please tell me you have seen this! This is a great true story starring Sandra Bullock. Football and Thanksgiving, what could be better? Pieces of April My friend recommended this, and I can’t wait to see it. The story of April who is hosting her family for Thanksgiving, but discovers that her oven doesn’t work. She solves this problem in her own quirky, sweet way. The cast looks amazing. The New World The story of the beginning of America. Another Pocahontas story brought to life. A Charlie Brown Thanksgiving-my all-time favorite! Also, The Mayflower Voyagers-also a Charlie Brown movie that’s really fun, too. Pocahontas Great movie loosely based on her relationship with Captain John Smith. Fun to rewatch with the big kids occasionally. Avalon Great story about immigrating and succeeding in America. This follows the lives of 3 brothers and their families. A great historical perspective, and heartwarming story of a family and their love for one another. Scent of a Woman This is one we hadn’t seen in a long time! A college kid is looking to make money to get home for Christmas. He becomes the caretaker of a retired, and blind, Colonel from the Army. They have quite the adventure together. If you haven’t seen this in awhile, you should. The Nativity Story We love this one! Every Christmas Eve after church, this is our family tradition with homemade soup and everyone’s favorite appetizers. It is a great interpretation of the birth of Jesus. It’s a Wonderful Life A must-see for sure at Christmas, especially in black and white. My personal favorite for holiday movies. The Holiday Great rom-com about a couple of women who switch houses for Christmas. Elf Oh my gosh! This is absolutely the best! I love Will Farrell, and this is my favorite movie of his. Krampus This is one that my youngest, who is now 14, found when he was 12. It is creepy, funny, and actually a great movie for a new twist for the holidays. How the Grinch Stole Christmas A great rendition of an old story. The Muppet Christmas Carol Another great rendition of an old story, but with Muppets-how could you go wrong? I love all the characterizations, they are spot on! The Family Stone Great cast, great family, funny love twists, sadness, funniness, and at the bottom of it all is great family love. The Polar Express My boys all time favorite from when they were younger. I still cry at times, and Tom Hanks proves he is magical in this movie. Joyeux Noel We came across this movie one year, and bought it because we loved it so much. It is the story of a Christmas truce during WW2. It is an amazing story of friendships under the worst of circumstances, and what can be accomplished with honorable men during them. Scrooged Bill Murray at his finest. Great laughs. A great remake of a great classic. The Family Man Modern twist on the movie, It’s a Wonderful Life. Fun flick! Fred Claus The story of Santa’s big brother, who is not a saint-hilarious! While You Were Sleeping A lonely young woman becomes involved with a stranger’s family over Christmas with hilarious and life-changing results. Arthur Christmas This is not the Arthur of children’s books, although this is geared towards a younger audience. This is an Arthur in a long line of Clauses. He sets out on an expedition to save Christmas. We love this movie, and even though animated for kids, there is plenty of great humor and the story is timeless. Serendipity A day together and a semi-promise is made for 10 years later. Relationships and love and Christmas all mixed up together. The Man Who Invented Christmas My sons looked over this list, and reminded me about this one. It is brand new from last year, and we all loved it, even my then 13 year old son. It is the story about Charles Dickens writing the story of A Christmas Carol. Very entertaining and fun to watch! Add it to your holiday watch list!! Hope you guys are able to join your families and enjoy a night with a great movie soon! Check out these other posts for the holidays: Gift Guide for Teen Guys, Gift Guide for Teen Girls, Teen Stocking Stuffers, and Budget Friendly Ideas for the Holidays. 11 Stocking Stuffer Ideas for your Teen!